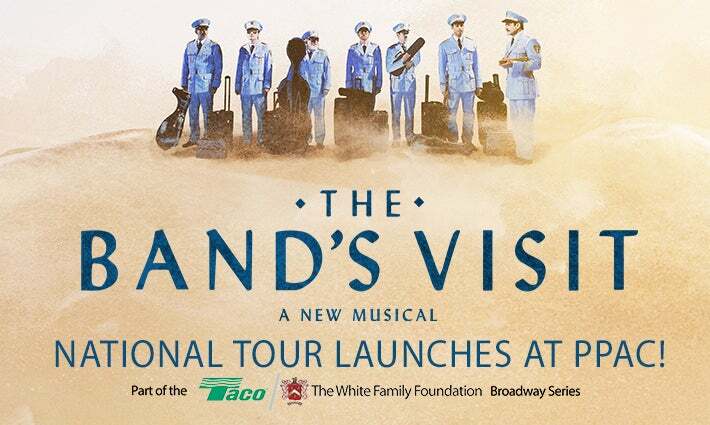 The critically acclaimed new musical, THE BAND’S VISIT, celebrates the deeply human ways music, longing and laughter can connect us all. 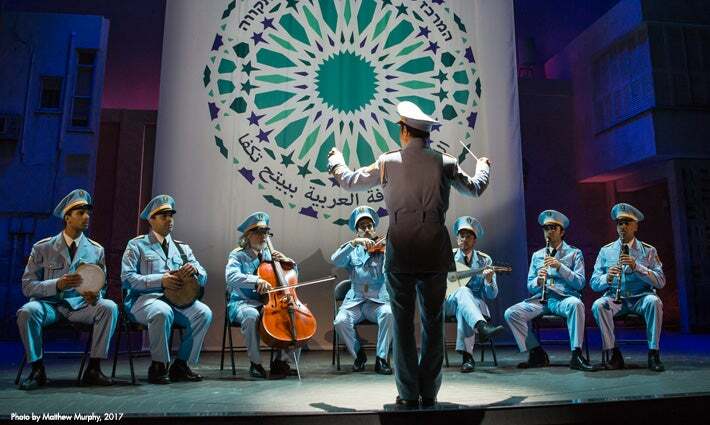 After a mix-up at the border, an Egyptian Police Band is sent to a remote village in the middle of the Israeli desert. With no bus until morning and no hotel in sight, these unlikely travelers are taken in by the locals. Under the spell of the desert sky, their lives become intertwined in the most unexpected ways. 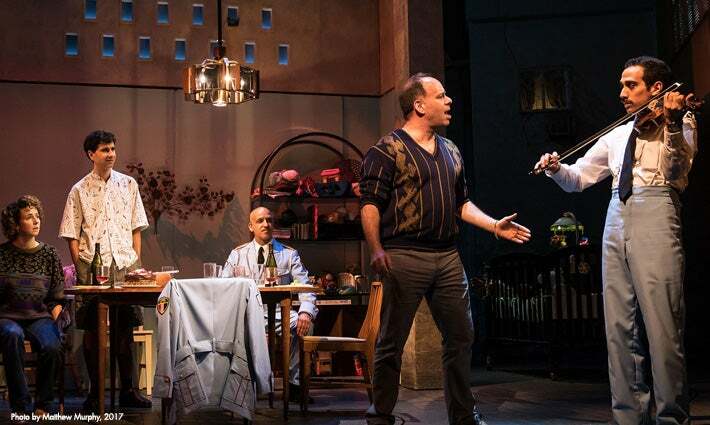 Based on the multi-award winning film, THE BAND’S VISIT is brought to the stage by three-time Tony® nominee DAVID YAZBEK (Dirty Rotten Scoundrels, The Full Monty), Drama Desk nominee ITAMAR MOSES (Nobody Loves You, Fortress of Solitude) and acclaimed director DAVID CROMER (Our Town, The House of Blue Leaves).